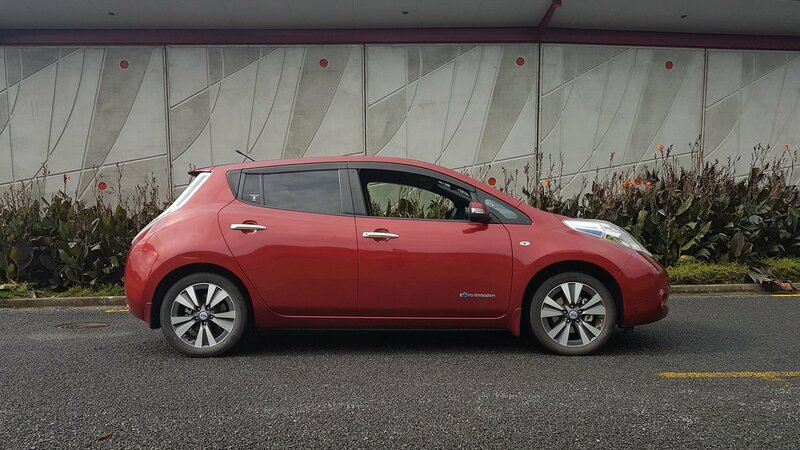 In April 2018, after a ~12 month search, I finally found the right EV: a 2013 Nissan Leaf ‘G’ spec with 10 bars of battery remaining. I flew to Auckland, met the previous owner at the Manakau ABS Centre (intending to do a quick charge, not realising that a) it was a slow charger b) it was broken), and picked up the car. Money was exchanged, and I was off on my drive back to Wellington. Normally I’d drive Auckland <> Wellington with a couple of quick breaks. Given I was stopping hourly for a charge, I had some chunks of time to write a short story of my adventure. I used a twitter thread. Here it is. Landed AKL. Picked up new car. Little more scuffed than I expected but overall exactly what I wanted. Driving home over the next 2 days. Join me on my 600km journey with a car that only does 100km between charges. Should be an adventure! Pick up the car with max 79kms left. Already done ~35kms prior to pickup, so hopeful I do at least 80-100kms between charges. First charger only 10km away.